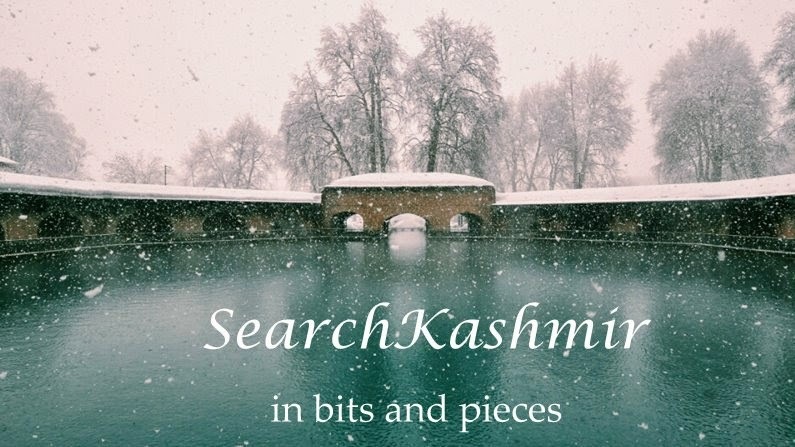 In 1623, Noor Jahan built a Masjid in Srinagar on the left bank of Jhelum near Zaina Kadal opposite Shah Hamdan mosque. "Nur Jehan Begum (the light of the world), the Nur Muhul (the light of the palace) of Lallah Rookh, is the most renowned name in the valley, that of her august consort, Jehan Gir, not excepted. In spite of the more authentic story of her birth which is to be found in Ferishta, the Kashmirians would have us believe that she was a native of the valley: a daughter of the Malek of Chodra, a large ruined village in the centre of the centre of the southern side of the valley, and situated on the Dud Gunga (milk river). The only fact that that I heard that I heard of, that could be any possibility be brought forward in support of this assertion is, that near Chodra there are some ruins, said to be those of a house that once belonged to her; but in which there is nothing in any way remarkable. I have already oticed the palaced at Vernag and Shahbad, which were built by here or her husband. The Musjid, or new mosque, in the city, was built by her, and is, in fact, the only edifice of the kind that can vie in general aspect and finish with the splendour of the Moti Musjid, or the pearl mosque, at Agra. A handsome flight of stone steps leads from river to the door of the courtyard, which surrounds it. The interior of the building is about sixty-four yards in length, and of a proportionate width, the roof being supported by two rows of massive square piers, running through the entire length of the building, the circular compartments between them being handsomely ribbed and vaulted. 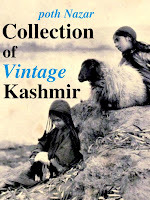 When I was in Kashmir it was used as a granary or storehouse for rice." Unlike other Masjids in Kashmir that were made of wood, this, this masjid was made of stone or Pathar, and hence came to be known as Pathar Masjid. And unlike the native Kashmiri mosques, it didn't have a pyramidical dome at top. The story goes that on completion of the Mosque, a Mulla asked Nur Jahan how much did it cost her. It is said that in her response the Shia Empress of India pointed to her shoe or Jooti. Mulla in response is said to have decreed the Masjiid unfit for praying. So goes the story of a building that in Sikh era was used as a granary. It is said the mosque originally had a dome that was demolished by a Sikh era governor. The half-attached "bedpost" columns in the two outer angles of the jambs of the entrance are noteworthy. The plinth, which is now mostly underground, is surmounted by a lotus-leaf coping. The frieze between the projecting cornice and the eaves is decorated with a series of large lotus leaves, carved in relief, some of which have been pierced, and thus made to serve the purpose of ventilation apertures. A flight of steps in each jamb of the entrance gives access to the roof, which is, as usual in Kashmir, sloping, except in the centre, where there was originally a dome which was later dismantled by the Sikhs. The roof consists of twenty-seven domes, the central one of which is the largest. The domes are mostly ribbed inside, though there are some which are flat or waggon-vaulted. The roof is supported internally on eighteen extraordinarily massive square columns having projections on two sides. The lower portion of the columns is built of stone and the upper of brick covered by a thick coat of buff-coloured lime plaster. "The enclosure wall is built of brick masonry, with a coat of lime plaster, adorned by a range of shallow arched niches." The mosque is said to have been built upon an ancient Buddha vihara. A mosque first came up here during Fateh Khan's rule (1510-1517). It was a sunni mosque. In 1623, Nur Jahan, rebuilt it as a Shia mosque. It is said the stones for the mosque came from ancient stairway that linked Shankaracharya temple to river Jehlum near the present day Durga Nag temple. In around 1819, Maharaja of Punjab, Ranjit Singh, send his best military general (Akali) Phula Singh to take on Afghans in Kashmir. Phula Singh defeated Jabbar Khan and then he went around triumphantly rearranging Kashmir, again. Pathar Masjid was taken over by the newly established government. A toup (tank) was placed at Pathar Masjid so that the shrine of Shah Hamada across the river could be blown up. Pandit Birbal Dhar who is said to have invited Sikhs into Kashmir, intervened to save the shrine. The bank inside the mosque is still used for some kind of storage. Portrait of a Poet. Bimla Raina. 1964.